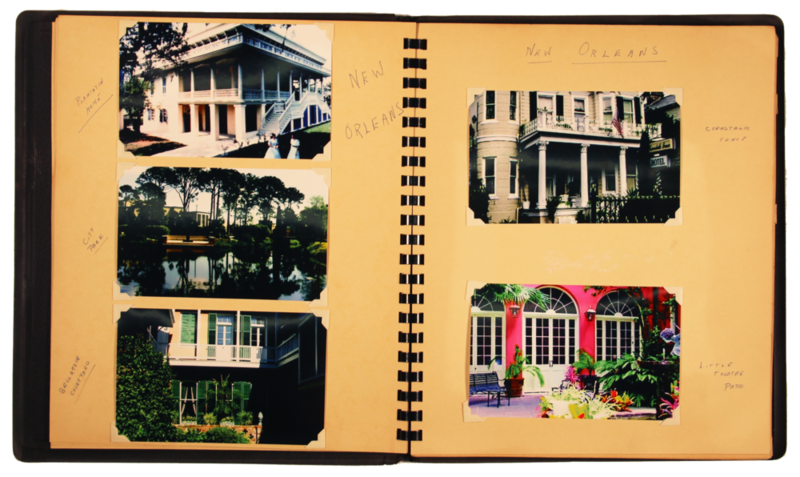 A scrapbook from 1952 no longer contained photos but did have detailed annotations from a southern trip. 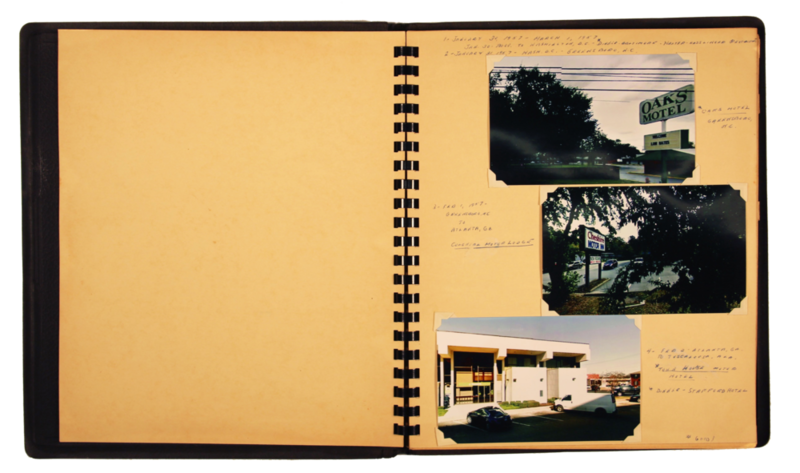 Using the annotations, the same locations were found on Google Streetview; screenshots were taken at each place described. 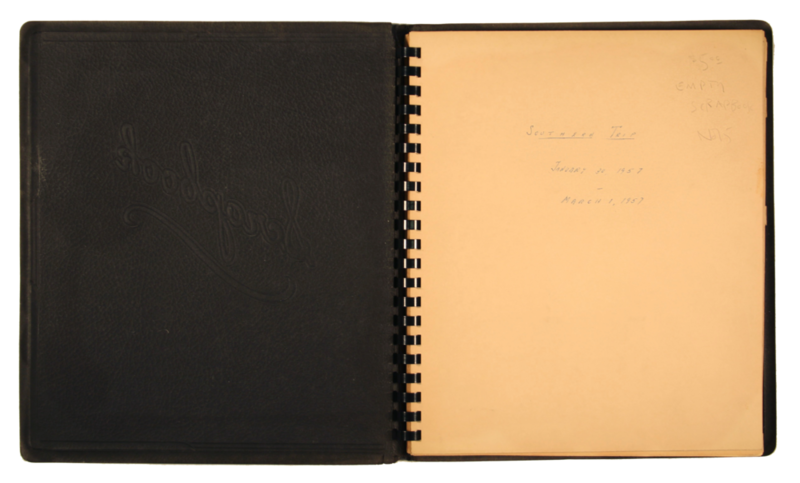 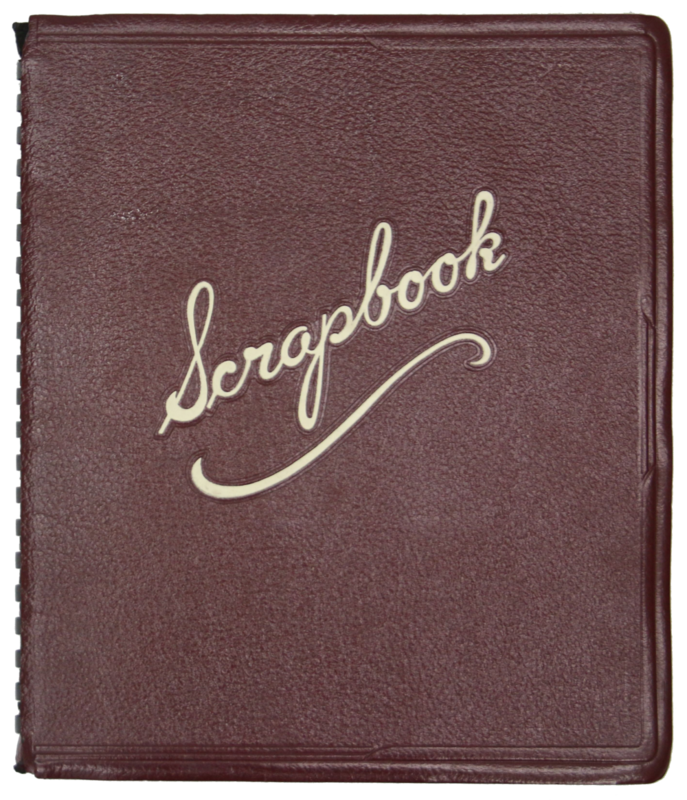 The screenshots were printed on photographic paper and placed back in the scrapbook alongside the handwriting.